Incretin-Based Treatments: No Evidence of Rise in All-Cause Mortality for Patients with Type 2 Diabetes? 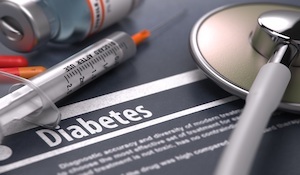 A team of researchers from China, Canada, and Norway have completed a systematic review and meta-analysis of 189 randomized controlled trials they conducted to determine the effect of incretin-based treatments on mortality in patients with type 2 diabetes (T2D). Such treatments, which include dipeptidyl peptidase-4 (DPP-4) inhibitors and glucagon-like peptide-1 (GLP-1) receptor agonists, are important second-line options in the treatment of T2D, but the SAVOR-TIMI 53 study on patients with T2D and established cardiovascular disease (CVD) or at risk for CVD raised a red flag with the US Food and Drug Administration (FDA) in 2015 when the results showed that saxagliptin had a possible correlation with increased mortality compared with placebo (5.1% vs 4.6%). The FDA’s concern was not corroborated, however, by several other large cardiovascular studies, including the TECOS (Trial Evaluating Cardiovascular Outcomes with Sitagliptin) and EXAMINE (Examination of Cardiovascular Outcomes with Alogliptin versus Standard of Care) trials. Both tested the effects of sitagliptin and alogliptin but found no significant increase in mortality. The multinational research team included 189 randomized controlled trials—including 153 trials that were in phase 3—that had compared GLP-1 receptor agonists or DPP-4 inhibitors with placebo, lifestyle modifications, and/or antihyperglycemic drugs in patients with T2D. To be eligible for inclusion in the meta-analysis, the studies had to report ≥12 weeks’ follow-up and also report data on all-cause mortality. In total, the included trials comprised 155145 patients with T2D. No death events were reported in 77 of the trials, while the other 112 trials reported 3888 deaths among 151614 patients. Among the deaths were 3592 from 6 major cardiovascular trials: SAVOR-TIMI-53, TECOS, EXAMINE, LEADER (Liraglutide Effect and Action in Diabetes: Evaluation of Cardiovascular Outcome Results), SUSTAIN-6 (Trial to Evaluate Cardiovascular and Other Long-term Outcomes with Semaglutide in Subjects with Type 2 Diabetes), and ELIXA (Evaluation of Lixisenatide in Acute Coronary Syndrome). The meta-analysis of the trials that had >1 death showed no difference in all-cause mortality between the incretin-based medications compared with control (1925 out of 84136 vs 1963 out of 67478; OR 0.96, 95% CI, 0.90-1.02); the risk difference was 3 fewer events per 1000 patients over 5 years. The results suggested a possibility of mortality benefit with GLP-1 receptor agonists, but not with the DPP-4 inhibitors; however, the authors acknowledged that the subgroup hypothesis had low credibility, pointing out that it was based on a comparison between trials and was not robust across statistical analyses. In addition, 126 of the trials specifically excluded patients with certain CVDs, and another 55 trials enrolled patients whose risk for CVD was unclear. The remaining 8, which included the major 6 trials that accounted for 92.5% of the weight, enrolled patients who were at high risk for, or already had, CVD at baseline. The full study was published in the June 2017 of The BMJ.